As South Florida braces for the potential effects of a tropical system named Erika, it is a reminder that everyone must be prepared for all circumstances. Emergency preparedness should be at the forefront of most public agencies in the event of a crisis. Every year, there are alert systems and organizational plans that are developed and implemented to keep the public abreast during natural disasters and other catastrophic events. However, there is a paradigm shift underway, specifically in the way agencies deal with the potential disasters. That shift is causing agencies to move from a reactive approach to a proactive approach. The lessons learned from Hurricane Katrina in 2005 are paramount in the manner in which federal, state and local agencies approach situations. Although state and local governments depend on federal money, they have built self-reliant agencies that work in partnership with the federal emergency response units. This overview explores how both local and state governments provide their citizens with emergencies plans under the umbrella of crisis management. Agencies across all levels of governance apply the same practices to their emergency plans. Let’s observe crisis management within the state government. Each state has its own emergency management division. That division is the state’s liaison with federal and local agencies on emergencies of all kinds. Division staff members provide technical assistance to local governments as they prepare emergency plans and procedures. They also conduct emergency operations training for state and local governmental agencies. In my state of Florida, emergency management is handled by the Florida Division of Emergency Management (FDEM). According to their website, after a disaster, the division conducts damage assessment surveys and advises the governor on whether to declare an emergency and seek federal relief funds. The division maintains a primary emergency operations center (EOC) in Tallahassee. The EOC serves as the communications and command center for reporting emergencies and coordinating state response activities. The division also operates the State Warning Point, a state emergency communications center staffed 24 hours each day. The center maintains statewide communications with county emergency officials. What should we take away from this is that the state’s Division of Emergency Management plans for and responds to both natural and man-made disasters. These range from floods and hurricanes to incidents involving hazardous materials or nuclear power. The division prepares and implements a statewide comprehensive emergency management plan and routinely conducts extensive exercises to test state and county emergency response capabilities. At the local level, cities and counties operate their emergency plans following the guidelines of the federal and state governments. However, cities and counties play a more crucial role as they maintain a direct contact with citizens. In fact, emergency management plans are more defined at the local level. For example, Miami-Dade County’s emergency management system consists of four different phases: mitigation, preparedness, response and recovery. Mitigation refers to measures that prevent an emergency, reduce the chance of an emergency happening, or reduce the damaging effects of unavoidable emergencies. Preparedness activities increase a community’s ability to respond when a disaster occurs. Response actions carried out immediately before, during, and immediately after a hazard impact, which are aimed at saving lives, reducing economic losses and alleviating suffering. Finally, recovery is the actions taken to return a community to normal or near-normal conditions, including the restoration of basic services and the repair of physical, social and economic damages. Within that system is a community emergency response team or CERT. CERT members can assist others in their neighborhood or workplace following an event when professional responders are not immediately available to help. CERT members also are encouraged to support emergency response agencies by taking a more active role in emergency preparedness projects in their community. While local governments have emergency management plans in place to support agencies at federal and state levels, these plans also serve as a direct point of contact for citizens in every municipality. Crisis management works in harmony at the federal, state and local levels. No matter the type of emergency, the goal of every agency is be able to assist the community affected and save as many lives as possible. 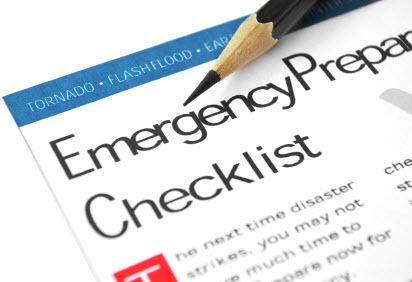 Everyone must prepare accordingly and develop an emergency response plan. Andrew, I enjoyed your article and commend you on the continued effort of keeping the subject on the front burner. However, you mention issues that are common knowledge in emergency management; preparedness, mitigation, etc. ;that are promulgated by FEMA. I would have hoped to read more on the best practices of HOW each government level works in “harmony” with some examples of your institutional knowledge. Although the article is good information for the general public, I think most emergency managers have a solid understanding of the topic. Thank you for your response! I will be sure to use that tip in consideration with my later posts.